I was talking to a friend a while back and she recommended something to me that is almost too unbelievable to resist. If you love staycationing as much as I do, then this offer might just be what you're looking for. It's almost February and we all know that's it the time of the month for couples sending hearts, couples on a date, and couples holding hands while walking. But if you want to just get away on your own - all by yourself- then Travelpedia has got you covered. Travelpedia Inc first started their business on August 2014 and since then proved themselves as a well-established Destination management company with operations in 56 plus destinations, over 600 registered services reseller agents globally and a huge database of satisfied customers. They have an offshore head office in Sri Lanka while ground representations in Malaysia, Maldives, Nepal, Indonesia, China, India are still growing. They are providing best travels and tourism products with huge shelf inventory of packages from Backpackers to Luxury Travelers that surely cater the need of the travelers. Right now, TravelPedia Inc announces a group tour (Fixed Departure) on their Global sales network. Thailand - which is one of their target destinations - is known for a variety of things. Not only for its sweet decadent fruits but Thailand is also rich in culture, a good place for a shopping destination and a country get-away on the beaches. 13 Feb - Meet and greet at the airport and transfer to a 3-star hotel in Pattaya. 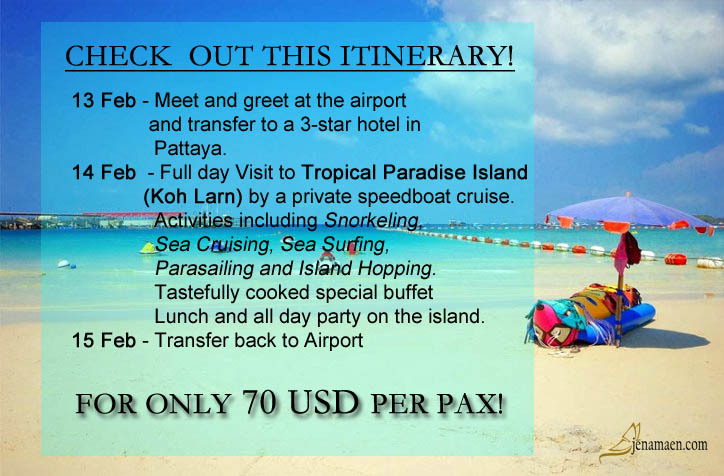 14 Feb - Full day Visit to Tropical Paradise Island (Koh Larn) by a private speedboat cruise. 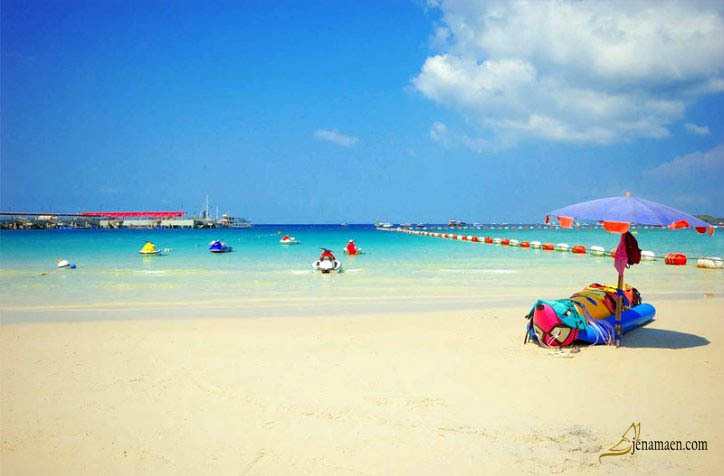 Activities including Snorkeling, Sea Cruising, Sea Surfing, Parasailing and Island Hopping. Tastefully cooked special buffet Lunch and all day party on the island. Package Price is only 70$ Per Person! The price is valid only for mentioned dates. Hotel accommodation is on Sharing basis. Airport Transfers are on SIC basis. Company standard cancellation policy applies. Additional nights / additional tours are available with extra charges. There you go! Be the love of your life and celebrate the day of love by giving yourself a stress-free commitment - a getaway to breathe fresh air and an opportunity to meet dozens of like-minded people in the beaches of Thailand. I cannot tell you how excited I was when I heard about this opportunity and I know you guys will love this offer too. So grab it now before it goes because no matter who you are, no matter what you look like, you are beautiful and you deserve the best for and from yourself. This offer is valid only until February 12, 2018. Travel date is at February 13-15, 2018. Disclosure:This post may contain affiliate links, which means I may receive a commission if you click a link and purchase something. 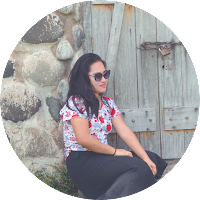 Please check out my disclosure policy for more details. Give yourself this Valentine holiday getaway - a treat that may change your life forever!